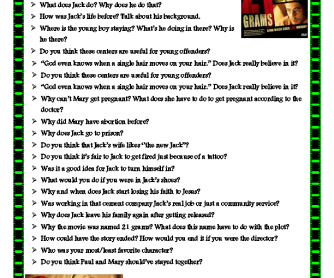 I have designed this worksheet based on the film 21 Grams. It includes 20 questions to check students' understanding. Hope it works!